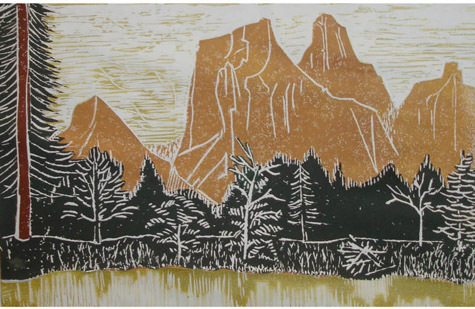 Create a landscape print that includes an animal as inspiration. Use patterns of line to build up tones and create dimension for the form. Include a balance of patterned areas, that the eye flows through the composition. Movement, rhythm, pattern and value will be represented through the use of varied line.